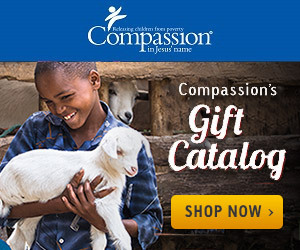 As a Compassion sponsor and advocate, I was excited to see another book written by Scott Todd, who is the Senior Vice President of Global Advocacy for Compassion International. Summary - The basic summary of this book is that God is doing a work around the world to end extreme poverty, but there is still work to do. Each one of us has been called by God to take care of our brother in need (1 John 3:17-18). As an individual, poverty is a big problem that seems really overwhelming to tackle on our own. But there are steps that each and every one of us can take to reach out to at least one person to make a difference. My reaction - I loved the book! This 193 page book is broken up into five parts with a total of 30 chapters, which makes it a manageable book to read in a short period of time. Dr. Todd provides some alarming statistics on many topics, but also shares how we have been making strides in many areas to give us hope for ending extreme poverty in the near future. The book is about giving each one of us hope, the hope that by doing something we can make a difference. The chapter on 'Stewards of Power' was inspiring to me: "We are all stewards of all that God has entrusted to us, including the power we have to make things happen." God allowed us to be born in this country for a reason. He has given us many resources, talents, and gifts. In our own power, we are weak. But in His power, He can accomplish great things when we are willing to follow Him. Dr. Todd shares that "if we don't tell them about Jesus, what will we truly accomplish?" Feeding the poor, building wells, and providing clothing is not going to save those living in extreme poverty. Teaching them about the love of Jesus, this is where their hope lives. And this is being done effectively through the local churches in many communities around the world. We are reminded in this book that God wants us to care for the poor. Dr. Todd shares many Bible verses in this book about God's call for us to remember the poor. Overall, I would highly recommend this book if you feel God calling you to make a difference for children growing up in extreme poverty in many countries around the world. I know that for some, this is not the call they feel God leading them to. But if you love God, you need to love His people. And sometimes loving His people means sacrificing a little of your time and/or money so that a child can live another day.